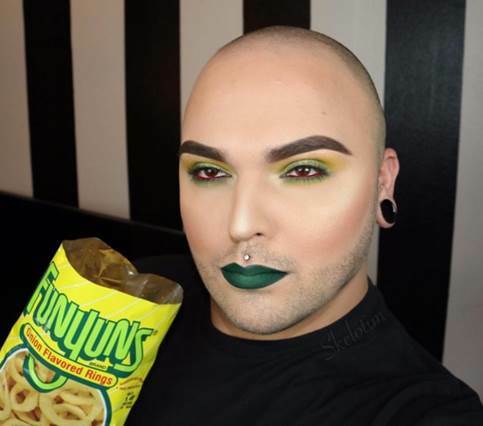 If you’ve ever been inspired by a bag of Sun Chips Originals or Tostitos Hint of Lime, we found your match made in heaven. 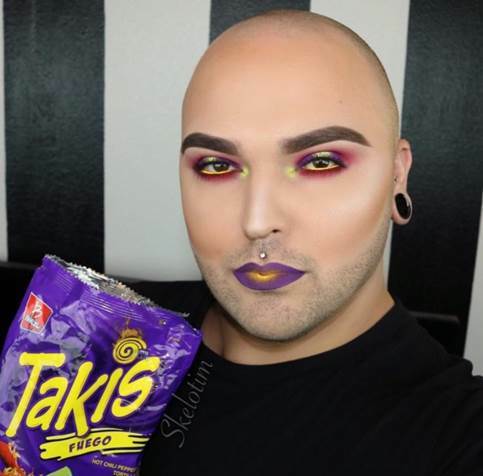 Skelotim, self-proclaimed bald headed bearded b*tch, recently started a makeup series inspired by his favorite snacks. Despite his impressive skills, I can’t imagine these looks being very realistic (but, who am I to judge). 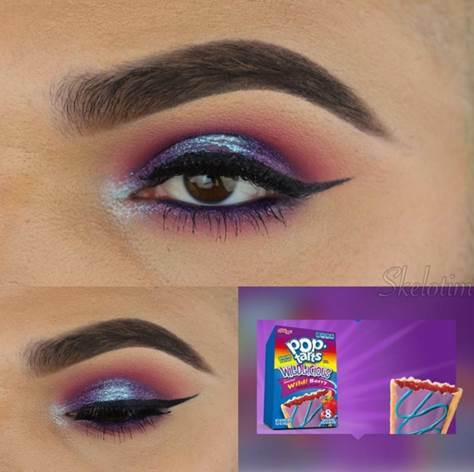 Designers create snack packages to draw a consumer’s eye to their brand, so does this mean one’s eye will be drawn to your face wearing this makeup? Maybe.